This annual online auction is a great way to support our amazing school. It has become a showcase of the many generous businesses, restaurants and shops in our local community, and it keeps growing every year. We can’t make it a success without parent and community support, so if you’d like to get involved please email the auction coordinator. Take a sneak peek at the 2017 online auction! 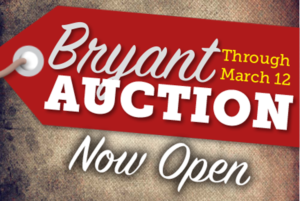 The Bryant online auction opens on March 6. One week to go! Get ready for the bidding fun with a sneak peek at everything the committee has gathered for this year’s auction. 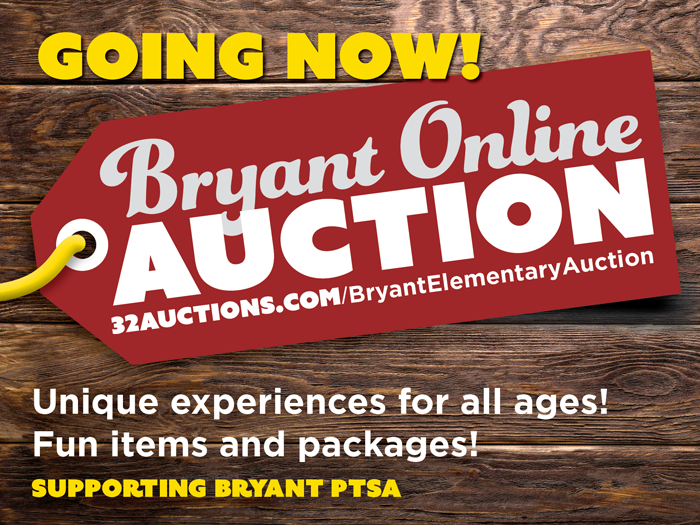 See the more than 200 items donated by our local community at 32auctions.com/Bryant2017. If you love Bryant, and the great community our school fosters and serves, this is an exciting way to show your support. It’s ALSO an awesome way to support the neighborhood businesses that generously stepped up to donate items for our auction. All proceeds go directly to the Bryant PTSA, which works tirelessly to give back to the school that gives our kids so much. So visit 32auctions.com/Bryant2017 today and check out all the great items. Be sure you send the link to your friends and family — all are welcome to bid! 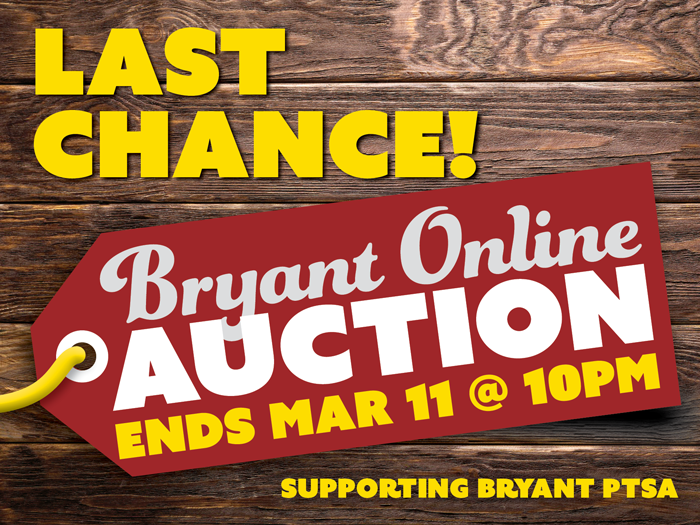 Mark your calendar for the auction, which opens March 6 at 6 a.m. and closes March 13 at 10 p.m. And we’ll see you online! Questions? Get in touch with us at bryantonlineauction@gmail.com. Thank you!